Treasury Secretary-designate Tim Geithner, seen here during a House committee hearing in July, said he's sorry about not paying taxes for a few years. WASHINGTON — Treasury Secretary-designate Timothy Geithner said Wednesday he was careless in failing to pay $34,000 in Social Security and Medicare taxes earlier this decade but declared "I have paid what I owed." He apologized to Congress. Geithner told the Senate Finance Committee he was sorry that his past transgressions were now an issue in his confirmation at a time of deepening economic distress. He urged Congress to act quickly and forcibly to deal with the crisis. A top administration priority is to foster economic recovery and "get credit flowing again," Geithner testified. As to his failure to pay payroll taxes from 2001 to 2004 while he worked for the International Monetary Fund, Geithner said: "These were careless mistakes. They were avoidable mistakes." "But they were unintentional," he said. Geithner told the panel that, for the 2001 and 2002 tax years, he had prepared his tax returns himself with a popular tax-preparation computer program. He said that he hired an accountant to do his 2003 and 2004 taxes who also "did not catch my error." He acknowledged signing an IMF statement saying he was aware that it was his responsibility to fully pay U.S. Social Security and Medicare taxes. "I absolutely should have read it more carefully," he said. "I signed it in the mistaken belief I was complying with my obligations." Sen. Charles Grassley of Iowa, the senior Republican on the panel, noted that as Treasury secretary, Geithner would be in charge of the Internal Revenue Service and should therefore come under especially tight scrutiny on the issue of paying his personal taxes. He suggested the danger of "sweeping the under the rug" Geithner's tax problems in a rush to get him confirmed. "I have paid what I owed," Geithner said under grilling from Grassley. "I apologize to the committee for putting you in the position of having to spend so much time on these issues." Republican Jim Bunning of Kentucky told Geithner his failure to pay the taxes fully until just before his selection by Obama was announced was "hard to explain to my constituents who pay these taxes on a regular basis." Although the tax disclosures provided a bump in Geithner's confirmation process, he appeared to have wide support from both parties, especially given the severity of the downturn and the nominee's past experience in the financial system. 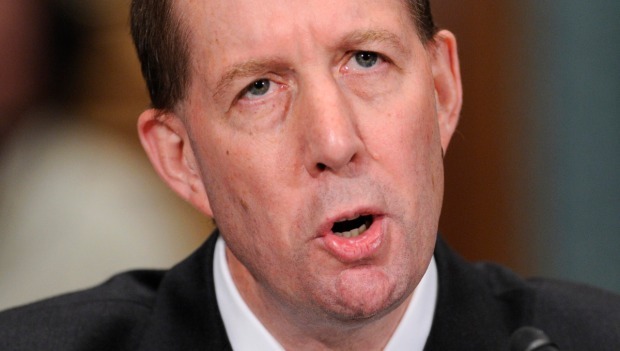 "You will be confirmed," Pat Roberts of Kansas told Geithner. Still, the senator said, his phones were "ringing off the hook" from people in Kansas complaining about the prospects of having a Treasury secretary who was careless in tending to his own tax liabilities. Grassley said he recognizes that many in Congress view Geithner, who worked closely with the outgoing administration on Wall Street's meltdown as head of the New York Federal Reserve Bank, as "possibly the only man for the job of healing the recession before us and a very fractured economy." "To some, he is not only the best choice, he is the only choice," said Grassley. The Republican has not announced how he will vote on the nomination and aides say he remains undecided. Committee Chairman Max Baucus of Montana called Geithner's tax transgressions "disappointing mistakes," but said he believes they were innocent ones — and should not bar Geithner from serving in the administration's top economic position. Baucus said his committee would vote on the nomination Thursday. Geithner, who also worked in the Treasury Department under three presidents, addressed criticism over how the $700 billion financial bailout program has been spent so far by the outgoing Bush administration. Many lawmakers have complained that most of the over $350 billion committed so far has gone mostly to the banking industry, and has done little to help individual homeowners facing foreclosure. Geithner also said that Obama and he "share your belief that this program needs serious reform." "This is an important program and we need to make it work," he said. "We're going to keep at it until we fix it." He said the still-evolving Obama economic plan would include a comprehensive housing package. 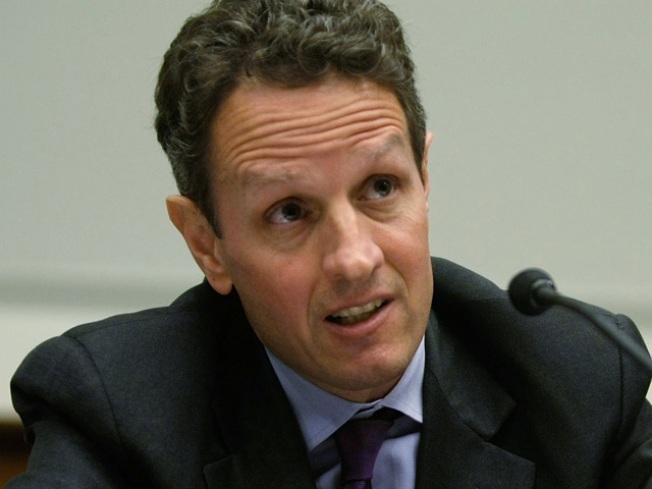 "Senators, in this crisis, our financial system failed to meet its most basic obligations," Geithner said. "The system was too fragile and unstable, and because of this, the system was unfair and unjust. Individuals, families and businesses that were careful and responsible were damaged by the actions of those who were not. " Obama last week called Geithner's tax problems an embarrassment but an "innocent mistake." Geithner failed to pay $34,000 in self-employment taxes from 2001 to 2004 for money he earned while he worked at the International Monetary Fund. He paid some of the taxes in 2006 after an audit discovered the discrepancy for the years 2003 and 2004. But it wasn't until two years later, days before Obama tapped him to head Treasury last November, that Geithner paid back taxes he owed for the years 2001 and 2002. He did so after Obama's transition team found that Geithner had made the same tax mistake his first two years at the IMF as the one the IRS found he made during his last two years at the international lending agency.